A note about email: Due to spam filters and other general problems, I do not always receive emails that are sent to me (and the sender is not always notified of this). I typically acknowledge all emails, so if you did not receive an acknowledgement of some kind from me, please resend the mail. Notice for students interested in working with me: I am going on leave from the university, and so am not taking any students at this time. I am a professor in the Department of Computer Science at Bar Ilan University. 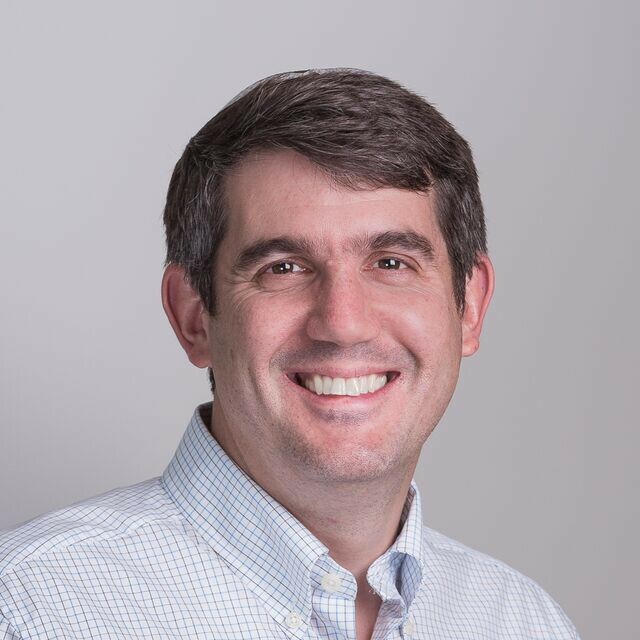 Prior to coming to Bar-Ilan in 2004, I was a Raviv Postdoctoral fellow in the Cryptographic Research Group at the IBM T.J.Watson Research Center. I received my Ph.D. in 2002 from the Weizmann Institute of Science, under the supervision of Oded Goldreich and Moni Naor. I am the co-founder of a company called Unbound Tech (previously called Dyadic Security) that uses secure multiparty computation to protect cryptographic keys and secrets of all types. My main research interests are in the field of cryptography, with a focus on secure protocols. My research concentrates both on questions of feasibility and efficiency. The former question asks what cryptographic tasks can be realized and under what assumptions, and is related to the theoretical foundations of cryptography. The focus of the latter question is the construction of efficient cryptographic schemes and protocols that have rigorous proofs of security and correctness. 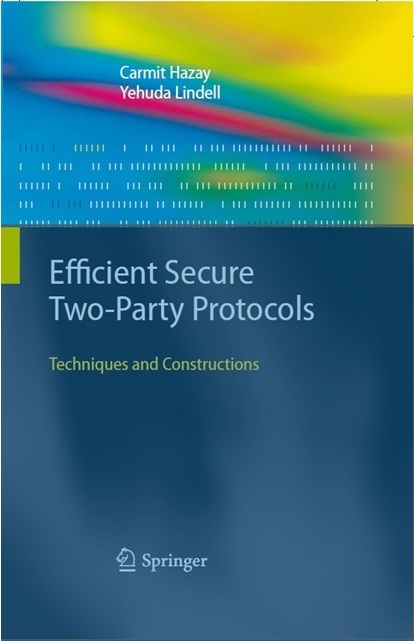 This research includes the development of new models and definitions for secure computation that enable the construction of highly efficient protocols. A primary aim of my research in this area is to demonstrate that secure computation has potential for real-world use, and many real-world problems can already be solved today. In many cases, there is still a long way to go in order to obtain protocols that are efficient enough to be used in practice. In these cases, I am interested in the algorithmic process of finding more and more efficient protocols. I have prepared a page with resources on how to get started with studying secure multiparty computation (MPC). More about my research projects can be found here. I am one of the co-inventors of the AES-GCM-SIV mode of operation; information can be found here. See the Cryptography Research Group homepage for more information about cryptography research and activities at Bar-Ilan. At PKC 2013, I gave an invited talk on Techniques for Efficient Secure Computation Based on Yao's Protocol. 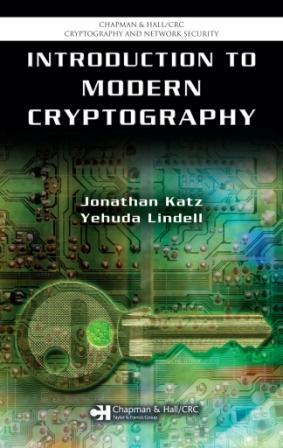 Introduction to Cryptography (in Hebrew), course given at Bar-Ilan University in 2018-2019. Better Bounds for Block Cipher Modes of Operation via Nonce-Based Key Derivation (30 minutes), ACM CCS 2017 (winner of best paper award). Fast Secure Two Party ECDSA Signing (22 minutes), CRYPTO conference, 2017. High-Throughput Secure Three-Party Computation with an Honest Majority (45 minutes), I-CORE day, 2017. High-Throughput Secure Three-Party Computation with an Honest Majority - Breaking the Billion-Gate Per-Second Barrier (17 minutes), Real-World Crypto (RWC) conference, 2017. Fast Garbling of Circuits Under Standard Assumptions (35 minutes), Simons Institute Workshop on Securing Computation, 2015. Secure Computation Tutorial: Definitions and Oblivious Transfer (90 minutes), 5th BIU Winter School - Advances in Practical Secure Computation, 2015. Secure Computation Tutorial: Efficient Zero-Knowledge (53 minutes), 5th BIU Winter School - Advances in Practical Secure Computation, 2015. Secure Computation Tutorial: Security Against Malicious Adversaries (40 minutes), 5th BIU Winter School - Advances in Practical Secure Computation, 2015. Optimizing Yao and GMW for Semi Honest Adversaries (53 minutes), 5th BIU Winter School - Advances in Practical Secure Computation, 2015. Invited Talk: Efficient Two-Party Secure Computation for Semi-Honest and Malicious Adversaries (60 minutes), Microsoft Workshop on Applied Multiparty Computation, 2014. Secure Two-Party Computation in Practice: Part 1 (60 minutes), Part 2 (50 minutes), and Part 3 (40 minutes). Technion Summer School on Security, 2013. Fast Cut-and-Choose Based Protocols for Malicious and Covert Adversaries (11 minutes), CRYPTO conference, 2013. Secure Computation on the Web: Computing without Simultaneous Interaction (20 minutes), CRYPTO conference, 2011. The IPS Compiler: Optimizations, Variants and Concrete Efficiency (20 minutes), CRYPTO conference, 2011. Secure Computation: Background and Definitions (90 minutes), 1st BIU Winter School - Secure Computation and Efficiency, 2011. The Yao Construction and its Proof of Security (70 minutes), 1st BIU Winter School - Secure Computation and Efficiency, 2011. Secure Two-Party Computation for Malicious Adversaries (90 minutes), 1st BIU Winter School - Secure Computation and Efficiency, 2011. Sigma Protocols and Zero Knowledge (85 minutes), 1st BIU Winter School - Secure Computation and Efficiency, 2011. Member of the ERC starting grant panel (PE6 - Computer Science and Informatics): 2015 and 2017. Program chair for TCC 2014. 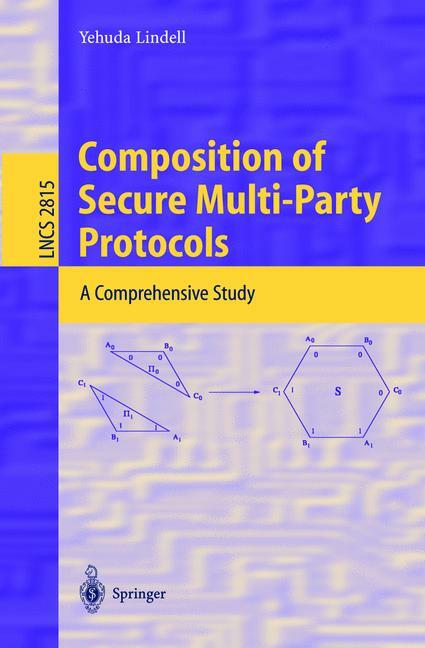 Theory and Practice of Multiparty Computation TPMPC 2019. 9th Bar-Ilan Winter School on Cryptography: Zero Knowledge, 2019. 8th Bar-Ilan Winter School on Cryptography: Secure Key Exchange, 2018. 7th Bar-Ilan Winter School on Cryptography: Differential Privacy: From Theory to Practice, 2017. 6th Bar-Ilan Winter School on Cryptography: Cryptography in the Cloud - Verifiable Computation and Special Encryption, 2016. 5th Bar-Ilan Winter School on Cryptography: Advances in Practical Multiparty Computation, 2015. 4th Bar-Ilan Winter School on Cryptography: Symmetric Encryption in Theory and in Practice, 2014. 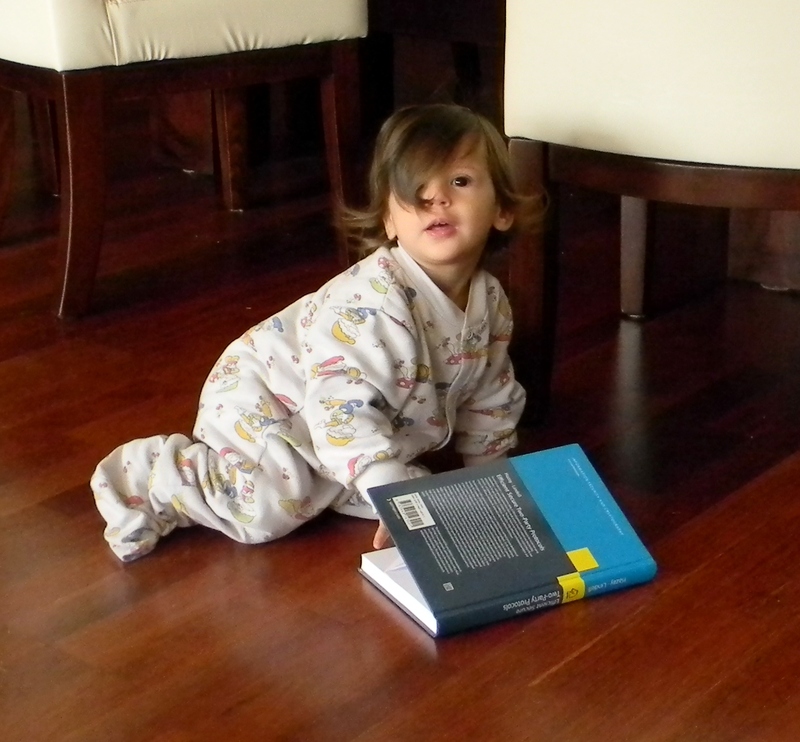 3rd Bar-Ilan Winter School on Cryptography: Bilinear Pairings in Cryptography, 2013. 2nd Bar-Ilan Winter School on Cryptography: Lattice-Based Cryptography and Applications, 2012. 1st Bar-Ilan Winter School on Cryptography: Secure Computation and Efficiency, 2011. 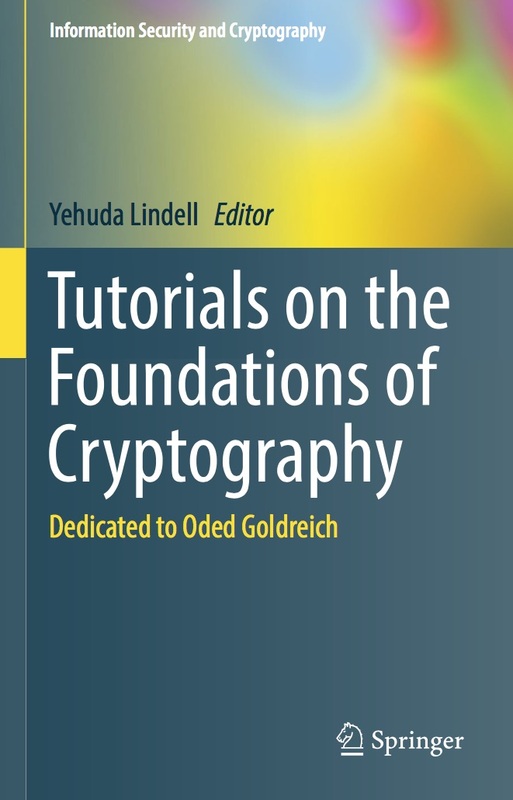 Tutorials on the Foundations of Cryptography (Dedicated to Oded Goldreich), Yehuda Lindell Ed. Series on Information Security and Cryptography, Springer, 2017. See Amazon for purchase information. Go here for online access. 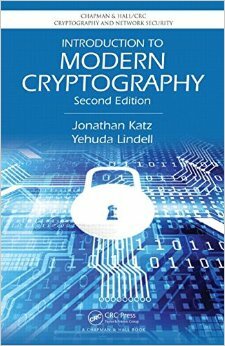 Introduction to Modern Cryptography, 2nd Edition, by Jonathan Katz and Yehuda Lindell. Chapman and Hall/CRC Press, November 2014. The preface and table of contents is available for perusal. More details on the book, including errata and book reviews, can be found here. See CRC and Amazon for purchase information. 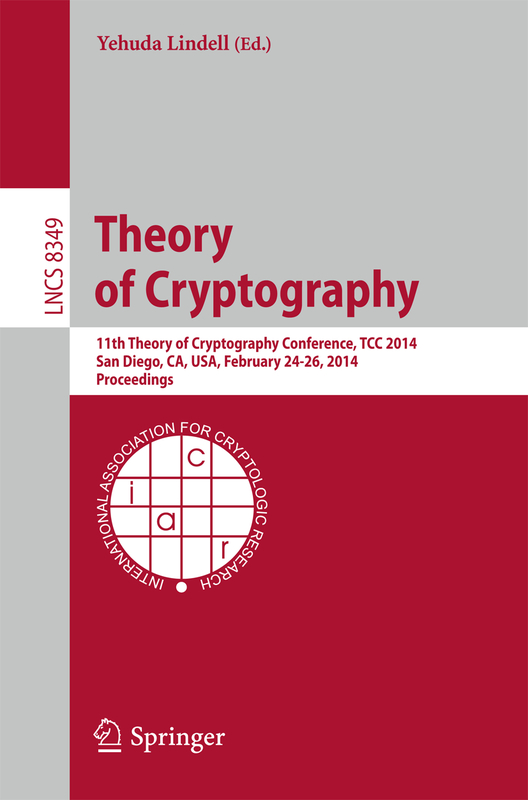 11th International Conference on the Theory of Cryptography (TCC 2014), Yehuda Lindell Ed. 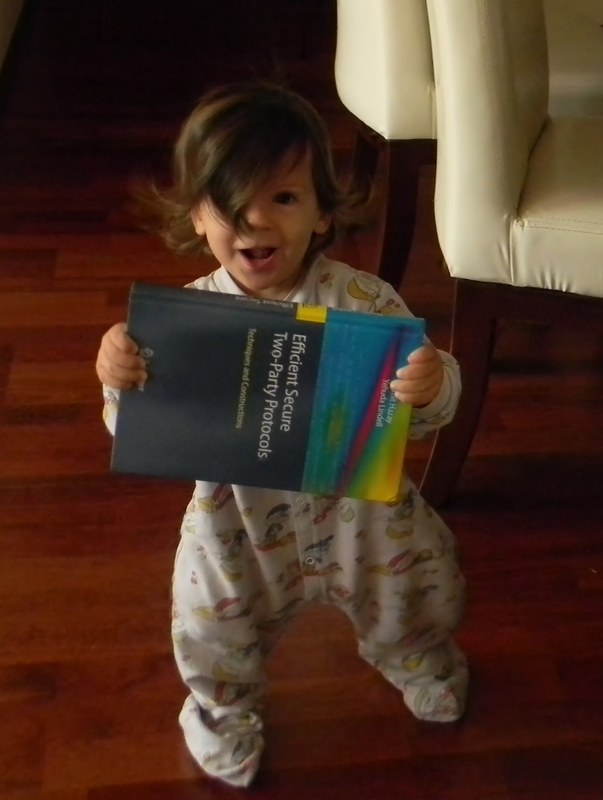 Lecture Notes in Computer Science, Volume 8349, Springer, 2014. Information Security and Cryptography Series, Springer-Verlag, 2010. The preface, table of contents and introduction are available for perusal. More details on the book (including errata) can be found here, and a review of the book that appeared in SIGACT NEWS can be found here. See the Springer website or Amazon for purchase information, and go here for online access. 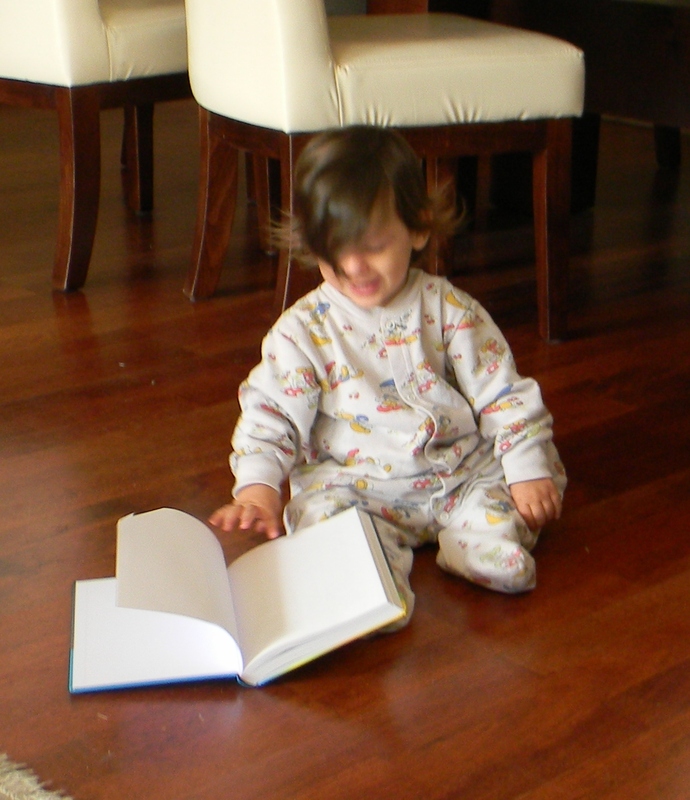 Although this book is intended for those with background in cryptography, we were pleasantly surprised to see that it is being used by a more general audience, and even quite young readers seem to have enjoyed it. See examples here, here, and here. 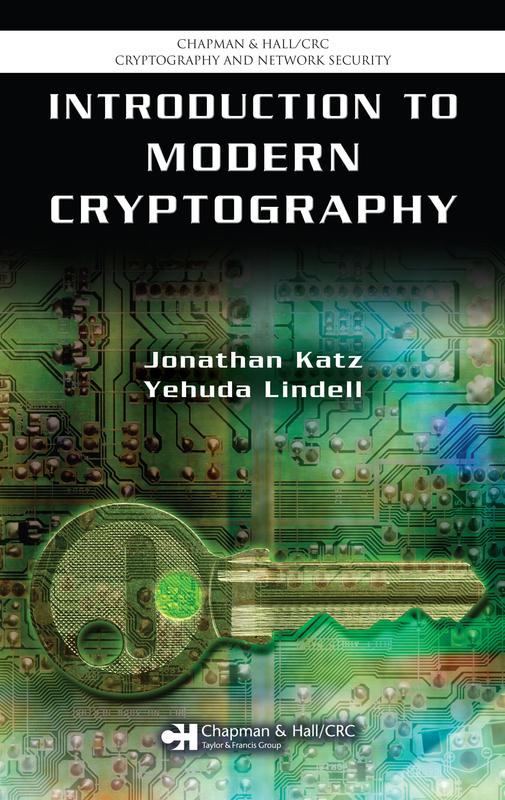 Introduction to Modern Cryptography, by Jonathan Katz and Yehuda Lindell. Chapman and Hall/CRC Press, August 2007. The preface, table of contents and index and introduction are available for perusal. More details on the book, including errata and book reviews, can be found here. A solutions manual, containing solutions to all of the exercises in the book, can be obtained directly from the publisher by any instructor who adopts the book. See CRC and Amazon for purchase information, and download the promotional flyer. Lecture Notes in Computer Science, Volume 2815, Springer-Verlag, 2003.